We had a busy week at the farm! 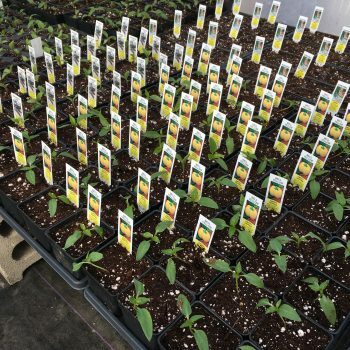 We transplanted hundreds of seedlings into bigger pots so they have room to grow in time for the Heirloom Plant Sale on May 6. 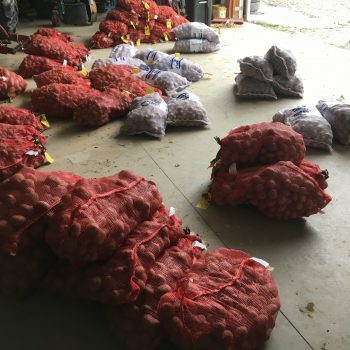 We received a truckload of 50 pound sacks of seed potatoes for our farm and other local farms including Spoutwood Farm, Dietz Produce, Goldfinch Farm, and Prescott’s Patch. Each 50 pound bag will yield roughly 500 pounds of potatoes for distribution to our CSA members. 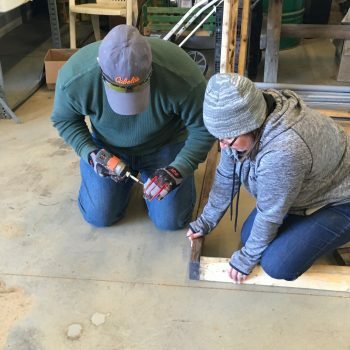 On Thursday, a group from this year’s Leadership York class came to the farm with the volunteers and supplies to build the 20 tables we need for the new greenhouse. 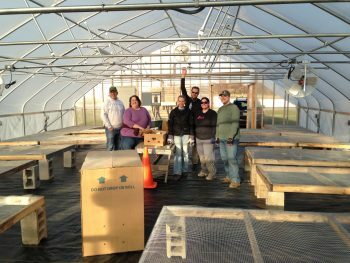 They stepped in to help just in time as we have no more room for plants in the first greenhouse and there’s so much more we need to seed. Thank you to you all! Tomorrow we will have our Introduction to Healthy Soils class in the morning and in the afternoon the first of the Foraging Intensive classes begins. Next week the Community Gardens orientation happens Monday evening at 6:30, there’s a Starting Your Garden class on Thursday evening, and on Saturday you the Wild Lands Immersion begins with The Art of Seeing and the Science of Observation. Also on Saturday, we are offering the Basics of Food Preservation.